Science and Religion: Exploring the Spectrum comes to your neighbourhood! Over the coming months, in partnership with the British Science Association, we are running a series of discussions, debates, and fun live events about various aspects of the relationship between science and religion. Featuring a wide range of experts from all walks of life, including members of our team, these free events give you the opportunity to get up to speed with the latest research in this area and join in the dialogue yourself. Look out for us in a town near you! 14 Nov – London, The Yorkshire Grey. Further info here. 15 Nov – Preston, University of Central Lancashire, Mitchell and Kenyon Lecture Theatre. More info here. 22 Nov – Bristol, Trinity Centre. Reserve your place and find out more here. 22 Nov – Edinburgh, St John’s Church. Reserve your place and find out more here. 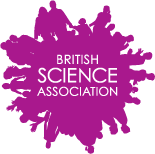 More information about all of the British Science Association regional branches hosting these events can be found here.